Made from top of the line materials and featuring an integrated raincover, the Escapist 25 is both bombproof and weatherproof. Anchored by a BioStretch™ harness and hipbelt, this low-profile pack is designed to keep the load balanced when descending rough terrain. 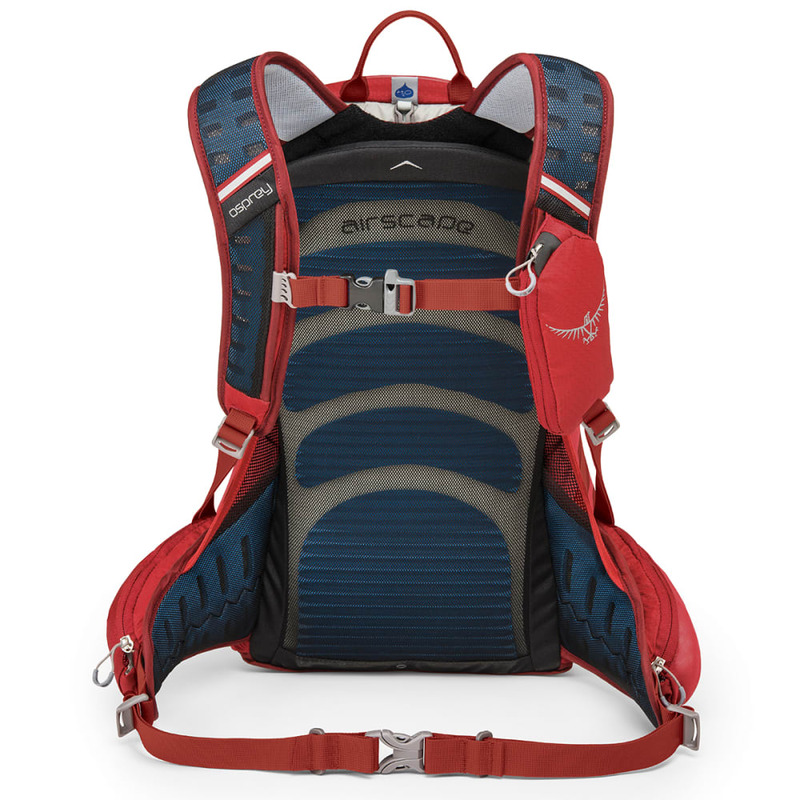 The Airscape™ mesh backpanel provides ventilation when you’re grinding up the pass. Access to the main compartment comes via a convenient zippered front panel so you can see all your gear at a glance. A divider at the base of the pack provides segregated storage for stuff you want to prevent from commingling—post-ride clothing or perhaps a pair of sandals—with the rest of your gear. Additional features include a myriad of external storage options, starting with three handy stretch mesh pockets—one on each side and another in the front. The hipbelt has twin zippered pockets and there’s another similar-sized pocket on the shoulder strap. A zippered external front pocket keeps valuables secure and a non-scratch glasses pocket protects your shades. The external hydration sleeve makes for easy reservoir refills. If you’re out after sunset, this pack features reflective accents and a blinker light attachment point for extra visibility. 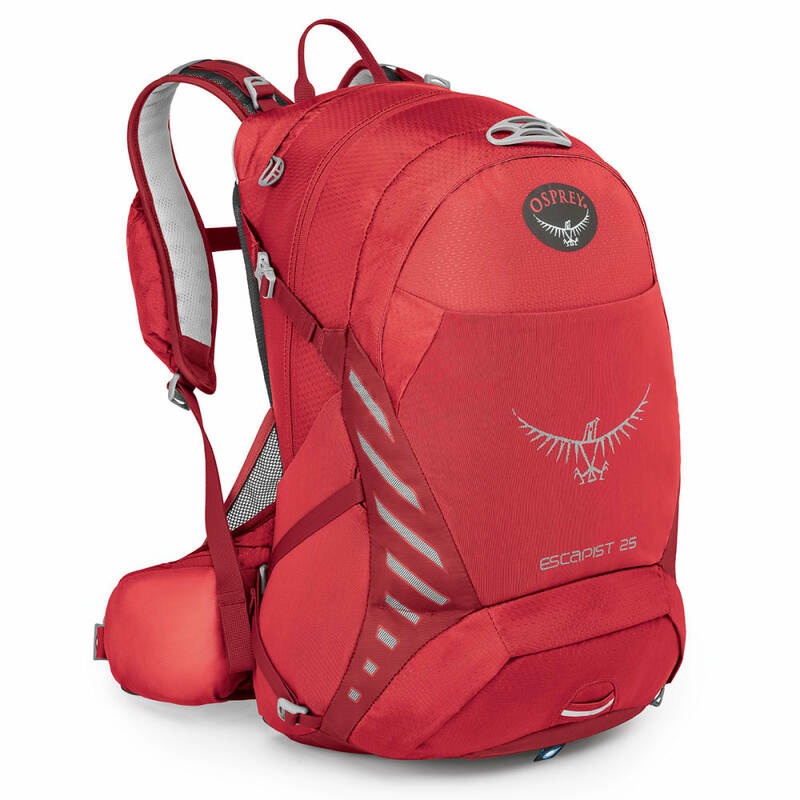 Loaded with technical features, this pack is ready anytime to go anywhere and do anything. Airscape Backpanel: Ridge molded foam creates a lightweight, supportive and ventilated mesh back panel. 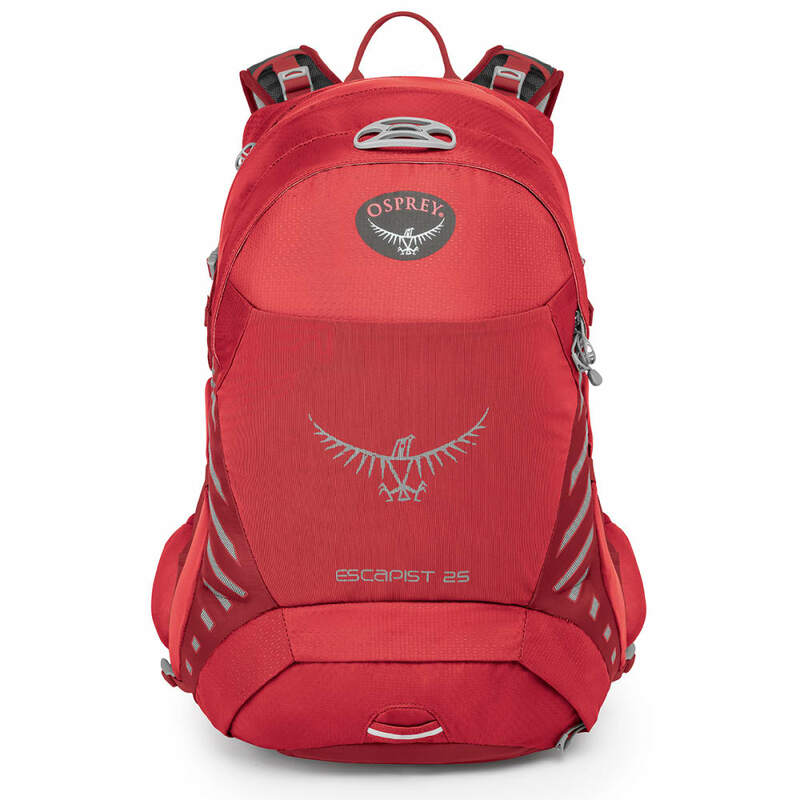 The low-profile design keeps pack close for excellent balance. Dimensions: S/M: 18H X 11W X 12D IN. ; M/L: 20H X 11W X 12D IN. Torso Length: S/M: 16-20 in. ; M/L: 19-23 in. Weight: S/M: 2.12 lbs. ; M/L: 2.25 lbs.